This beautiful, marabou feather, satin headband is accented by a silver rose and iridescent, teardrop rhinestones. Wear this feather headband to a wedding, prom or any occasion--it can accent any outfit perfectly and people will LUV how you sparkle and shine! 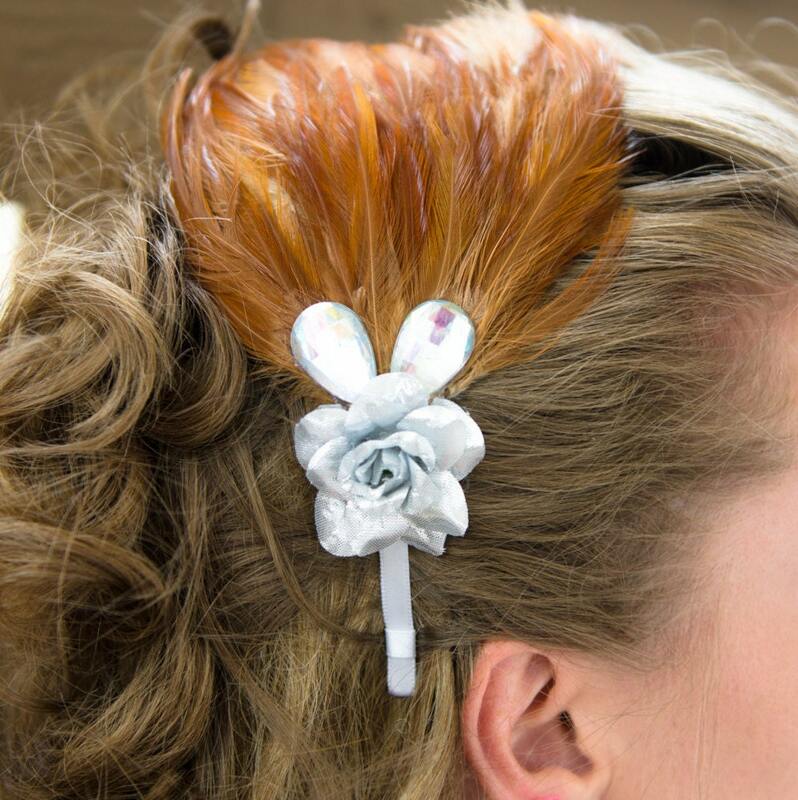 Styling Tip: If you are using hairspray to style your hair, make sure to spray your hair BEFORE you add this headband to your hair (hairspray and feathers do not mix well).